Stay Matte by RIMMEL. 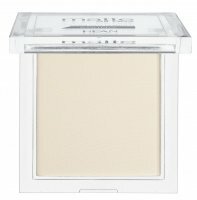 Pressed powder with gentle consistency for dry application. Controls the shine of the skin for up to 5 hours. 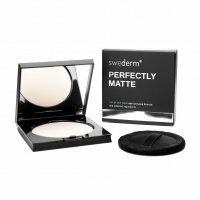 Provides a matte finish (reduces visibility of pores). It spreads easily on the face and leaves no uneven streaks. The formula has been enriched with a delicate fragrance composition. Available in several shades. Composition: TALC, MICA, MAGNESIUM STEARATE, POLYETHYLENE, petrolatum, Phenyl TRIMETHICONE, dimethicone, Polybutene, ISOSTEARYL neopentanoate, ETHYLHEXYL methoxycinnamate, TOCOPHERYL ACETATE, Methylparaben, Cocos nucifera (COCONUT) OIL, Paraffinum Liquidum / MINERAL OIL / HUILE MINERALE, propyl paraben, ZINC OXIDE, PARFUM / FRAGRANCE, ALOE BARBADENSIS, POLYSORBATE 20, BHT, BUTYLPHENYL METHYLPROPIONAL, BENZYL SALICYLATE, CITRONELLOL, HEXYL CINNAMAL, HYDROXYISOHEXYL 3-CYCLOHEXENE CARBOXALDEHYDE, LINALOOL, BUTYLPARABEN. IRON OXIDES (CI 77491, CI 77492, CI 77499), ULTRAMARINES (CI 77007). [May Contain / Peut Contenir / +/-: TITANIUM DIOXIDE (CI 77891). Good powder, fixes the makeup foundation and feels very light. Amazing! 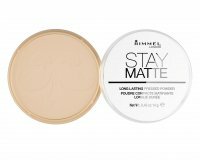 The best powder for mattify your skin. I have very oily skin - and this keeps my face matte all day long! Love this product. So much cheaper over here and it works amazing! Very very very good pouder, locks my foundation in place, keeps me matt in the heat of summer, love it. good product for normal skin. Znany kultowy,niemozna go nie znac,super mialki puder do utrwalenia podkladu,matt ale nie dokonca robi papier scierny z twarzy. super stay for almost 6-7 hours, i love it !! Jeden z moim ulubionych pudrów! Dobrze matuje, kolor super! Polecam! 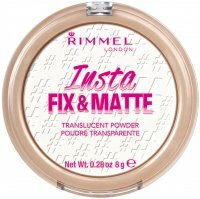 The best drugstore Face powder. 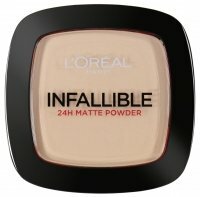 works grat on a oily skin! love it !!!! a m a z i n g !